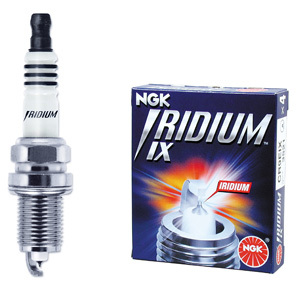 The latest NGK iridium spark plug is proven to help save more fuel and improve overall performance if install with RAM 10.0mm Quadcore™ high performance plug cable. Additional Stromberg Power Booster and Ignition Earth will be added advantages. Designed specifically for the performance enthusiast. Iridium IX offers extreme ignitability, improved throttle response and superior anti fouling. "Spark of the spark plug plays the important role on fuel consumption and power output of an engine" ...comment from a famous mechanic in motorsport.